Personality: Darkarro is a fun a guy loves to serve the kage os his vilage. He loves to walk around the land of fire and look at the sencery. He loves wolves and birds. Wolves because they hunt only when they need to. Birds because they can fly around in the shies when ever they choose. Darkarro dislikes the akatsuki and any other criminal that has betrayed their village. Darkarro loves swords and uses his custom sword he has made. Darkarro would rarly use any wepon like an Arrow (Even though he was named after a special one) or kunai. Darkarro enjoys looking at the Academy and thinking Man i was once just like them. He also enjoys all the genin that that take all missions ,even E rank, so seriously. There are two ways to make darkarro angery. One is to betray your village. The second is killing someone with out any reason. Speacial Characteristics: Can use water and wind to make ice Darkarro has a demon in him. You see when he gets very angry or think he's going to die his demon (or RIP) Will come to his aid. Imagine a Cloak floating in mid air. Now imagine a sythe sticking out of it. That is basiclly what My demon looks like. His demon's personality is mystious even darkarro doesn'y alot about him, but he intends to find out about his demon one way or an other. When darkarro needs help the demon will take over his body and fight for him. The one change to drakarro's body is that his eyes turned red. 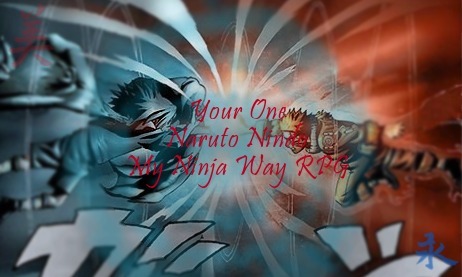 Description:Journey into Black Darkness is a Genjutsu technique which causes the ninja's opponent to be enveloped in total darkness. While in the black void, the ninja will be unable to see any incoming attack or threat. Description:Temple of Nirvana Technique is a Genjutsu technique that allows the caster to place a large body of people into a unconscious state. The target can avoid the spell by forming and using the dispel skill. Sword of Wind is a Ninjutsu technique. After forming the needed hand seal, a cutting whirlwind will envelop his opponent and cut them to pieces. Unlike a real sword which can face resistance, the wind blade will be able to slice with little difficulty. A powerful jutsu, Summoning Justu allows a ninja to summon animals, objects and the dead to fight on their behalf. The ninja normally signs a blood contract with the animal species, which allows him to summon different size and skill levels of creature. Ice Prison Technique is a Ninjutsu technique. After forming the needed handseals, rhe user will touch the ground, causing columns of ice to rise from the ground at my foe. If caught, the ice will rise up around my target and imprison them. I can also use this technique as a defensive measure, raising the ice to form a shield against incoming attacks. Demonic Ice Crystal Mirrors is a Ninjutsu. After forming the necessary hand seals, nearby water forms long flat mirrors 360 degrees around the target. Once inside the mirror, Haku can then using the mirror reflections to confuse my target. Utilizing the reflections, I can then almost instantaneously move from one mirror to the other. Using this technique for long periods of time however, will quickly use up my chakra. Haze Clone Technique is a Ninjutsu Due to the number of clones created I can hide in the shadows and wait to attack my enemy. 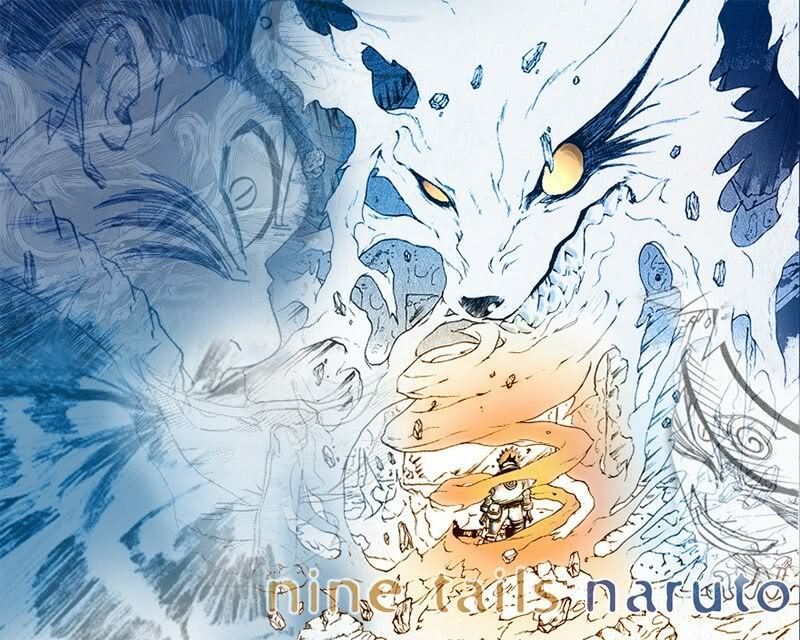 Wolf Fang Avalanche Technique is a Ninjutsu technique utilizing the Ice Element. After forming the needed handseals, an avalanche of snow will rain down towards my opponent. As the snow slides down, it will coalesce into large snow wolves. These wolves can follow my bidding and attack his opponent. A sufficiently powerful straight thrust can disrupt the wolves and return them to snow. Death by a Thousand Flying Water Needles is a Ninjutsu technique after i use my Demonic Ice Crystal Mirrors o pre form hand signs than throw a thousand needles. Twin Dragon Blizzard is a Ninjutsu technique utilizing the Ice Element. I send out out twin black ether-like dragons to strike his opponent. As they flies through the air they will begin to turn, creating a large dark tornado. Water Prison Technique is a Ninjutsu technique that utilizes water to imprison an opponent. The ninja forms the necessary hand seals which causes the water to form around the target into a spherical prison which only allows for limited movement. The ninja must keep their body touching the water prison to maintain its existence. If the contact is broken, the water falls away and their target is released. When combined with a bunshin technique, the ninja can imprison their target but still allow for a clone to attack others nearby. i will expel water from my Throat. This will then expand into a large volume of water. Makes a clone out of water.THis cloe can attavk my enemy. Makes a whip using water, can be used like a regular whip. Using water i make a tornado around me. The water acts both as a barrier and attack mechanism. After forming the needed handseals, I will expel a strong jet of water at my opponent. The ninja will travel through the ground to appear below their target. They will then surprise their target by then pulling them into the ground. Once in the ground their target is thus immobilized. I throw one shuriken then preform the hand signs than i create 30 more shurikens. I do a string of hand seals to cause a nearby body of water to form a spinning drill. I will first do a string of hand seals and then proceed to blow out a jet of water from my mouth to act as a water barrier from incoming attack. I do a string of hand seals which then causes a column of water to rise from the water and then strike my target. I do a string of hand seals which then causes a large volume of water to materialize out of nowhere. The water can then be directed at my target. THis is an advance verson of shadow clone justu can make up to 300 clones. Plus they can do all the justus I can do. I will create ice swallows which I can launch at my opponent. As they fly through the air, these deadly birds can hone in on their target. A sufficiently hot enough counter can melt the ice swallows. When Darkarro first started his ninja training nobody liked him. So he trained alone for a long time. Then when he had made a friend who was Chunnin named Ave. Ave trained Darkarro in the way of the lighting justus. Darkarro became Ave best friend and vice versa. Ave then Took Darkarro to the sand where they were attacked by other chunnin. Ave wiped them ot without much effort. Thats when it happened. Darkarro was so scared that he accidentaly realsed his demon. The sensed Darkarro's fear and killed Ave. Darkarro was sad and even more scared then normal. The demon looked at Darkarro and said. "I am your guardian. I will always protect even if you don't know it." Darkarro walked over to Ave's dead body and found a scroll that showed him that Ave was going to kill him for his power. What power could I possibly have. He thank the demon for saving but the demon was already gone. When Darkarro graduated from the academy his began training even harder. He journied to the demon country to find a summoning. He cam across a cave with a gaurdain bear in front of it. Darkarro Chrged the bear and fought it. It was a grusome fight and Darkarro almost won. But the bear tore off his right arm. He screamed in pain. then a farmilar shadow appered and the bear died. Darkarro looked at the Demon it looked like the Grim Reaper. "Its time I told you Darkarro who I am and Why do I protect you from death. It started when your father fought me to save your mother. You see your mother died and he wanted to bring her back but... I couldn't He had to die so he fought me. He was powerful but I ended up killing him. I did fell giulty that he just wanted her to raise you because he was very sick. So I said that I would protect you from death the best I could." Darkarro looked stunned. He looked at the demon. Then The demon Said" By the way my name is RIP. and your father left this for you. Darkarro looked at where his arm was and a new metal arm was there. Darkarro looked at the arm then at RIP. After the Chunnin Exams Darkarro was promoted to chunnin. He set off to start Taijustu training. He hoped that his demon would help him. "I am not your little helper boy. I am just with to protect you from death. And I can't leave you alone for five minutes or you might get your other arm blown, tore, or eaten off." RIP Semmed angery with Darkarro. Even though Dakarro never understood why. As Darkarro tried to learn Taijustu he wondered how his metal arm would effect his Martail atrs. The Arm it self was about 75 pounds which would effect his speed but his power and defense would increase. As he studied Taijustu he learned that there was a book with the origin from every Demon. So he went to get the book and looked up RIP. He found out that RIP had meant something. Which was pretty stupid of himt o not to noitce. It had Meant Rest in Peace. Which meant RIP was.....The Reaper of death. Where is your Jounin ark,or is that in the making like through RP? Let me know and I'll approve you. OH MY GOD DUDE IM SORRY!